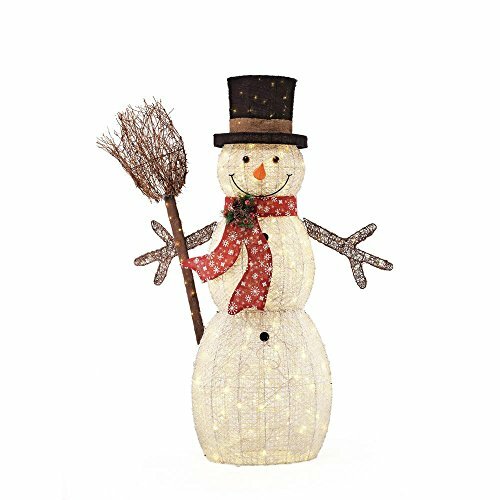 This jolly, adorable 270-Light Cotton String Snowman with Broom stands tall at 5 ft. to welcome everyone into your holiday scene. Sporting a black hat with a brown band and red scarf, this happy fellow spreads holiday cheer all season long. Bringing him to life in the evening are white LED lights to illuminate the yard or any corner of your home.